4” POWER BALANCE has been designed to swim with a jig head rig. Its unique body shape creates the maximum possible wobbling action on shake and retrieve. The natural vibration and flash given off by the body design, is unfound in other lures. 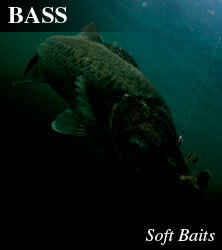 A sensational design made to catch bass in extremely clear lakes and high pressure waters. A must have item for any angler who considers themself a light rig expert. Straight bulky lure that visually stimulates bass with its tight wobble. The 5" POWER BALANCE is a must have item when targeting big fish with a jig head rig. Experience the absolute appeal power of POWER BALANCE in any kind of water condition when fishing for big Florida bass that prefer large bait fish and small mouth bass.